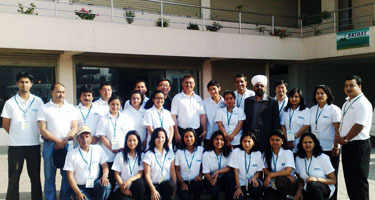 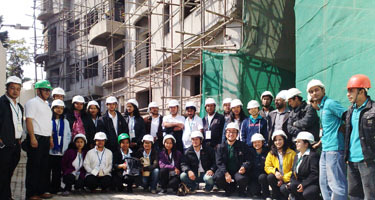 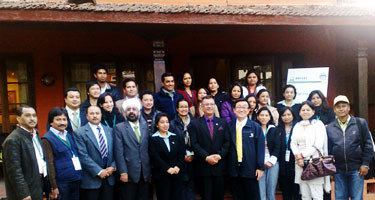 Real Estate Training in Nepal. 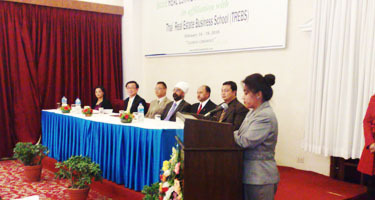 The Thai Real Estate Business School by Director Dr.Sopon Pornchokchai in corporation with Brihat Investment Ltd. by Managing Director, Mr.Om Rachmandary who is the leading real estate developer and who run this largest education centre in Nepal organized a 6-day training on the Real Estate Marketing Agency at the Summit Hotel, Kathmandu, Nepal. 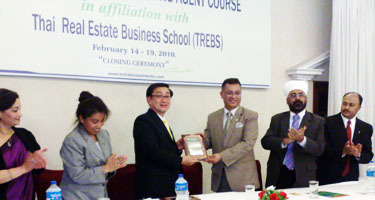 The Thai Real Estate Business School has had experience in real estate education in Brunei, Hanoi, Ho Chi Minh City, Jakarta, Manila, Phnom Penh and Yangon. 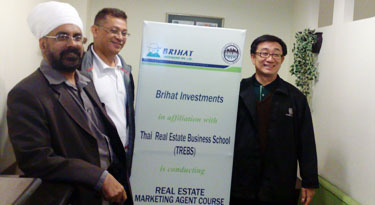 The School is an education arm (to provide international real estate services) of the Agency for Real Estate Affairs which is a real estate information and valuation centre with the largest and most continuing real estate database in Thailand.